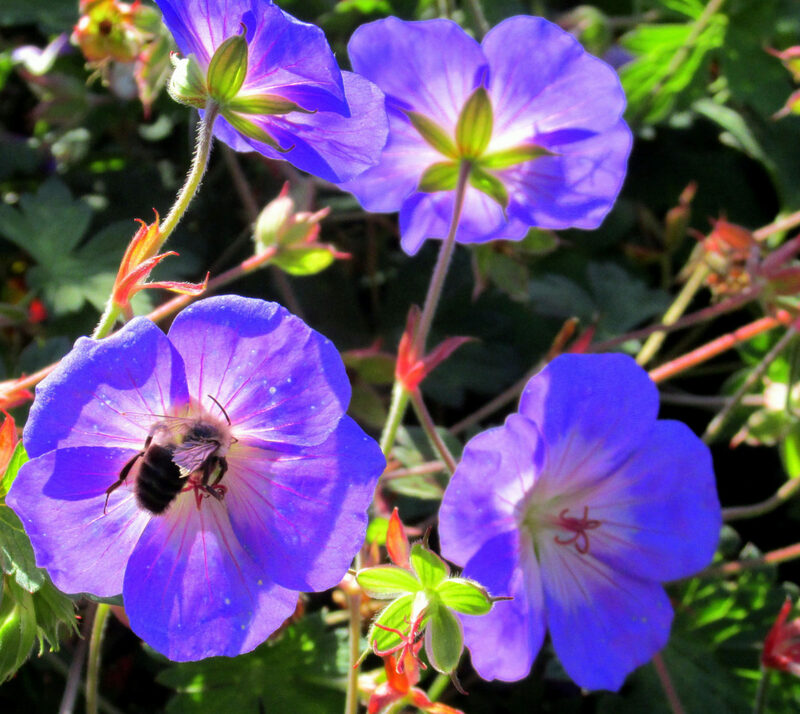 Geranium ‘Rozanne’ is a particularly hardy variety that stays evergreen in the milder climates. 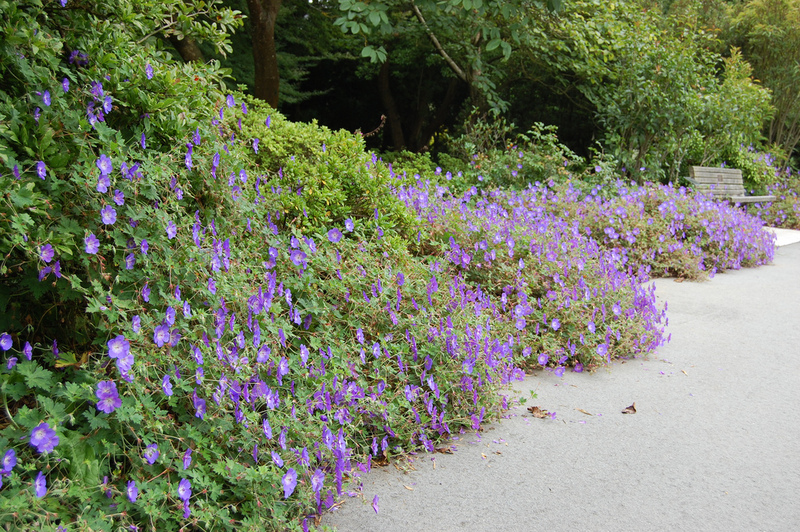 It is a naturally occurring hybrid between G. himalayense and G. wallichianum ‘Buxton’s Variety’. 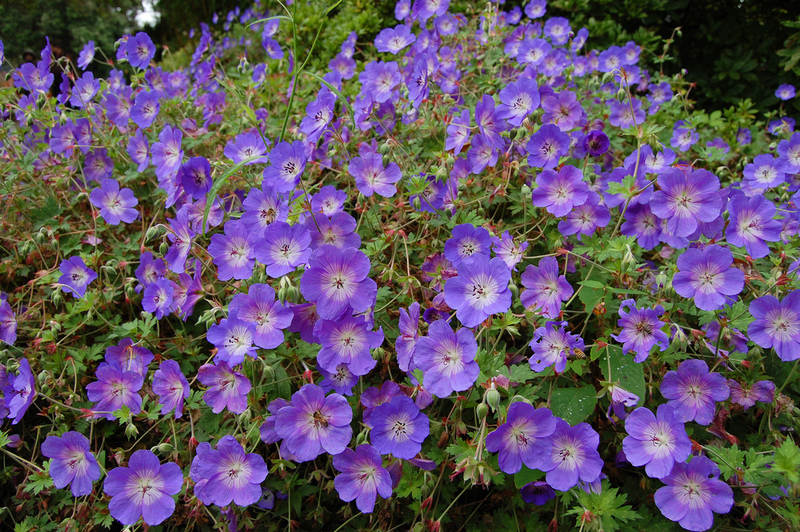 It grows to just under two feet high and over three feet in width. 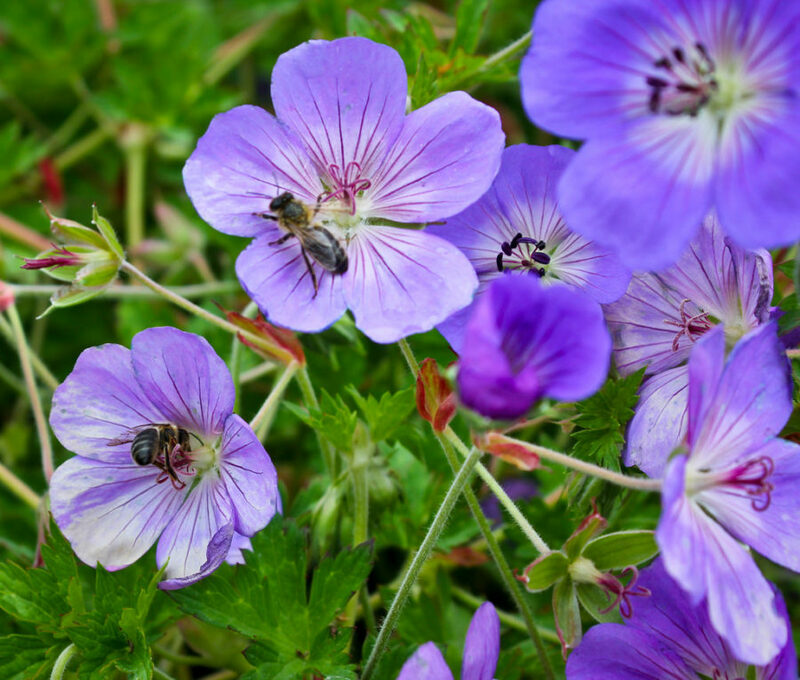 Flowers bloom in early spring and continue until the beginning of winter. 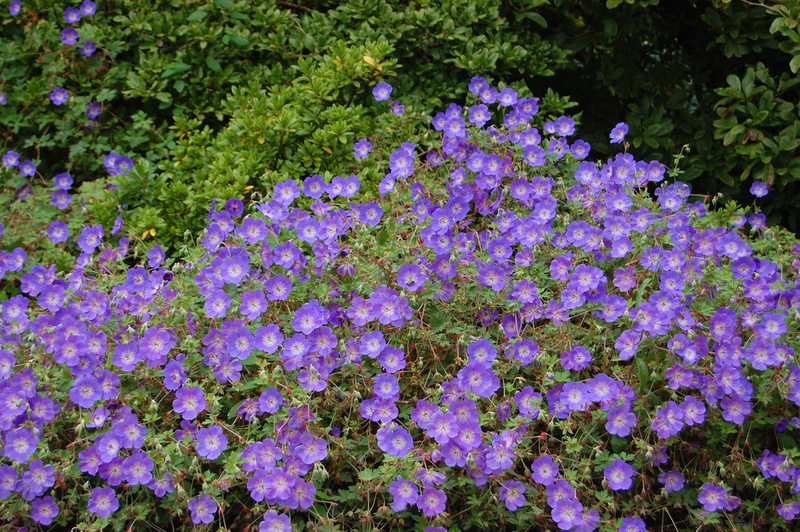 The flowers are blue to violet in color, similar to those of periwinkle. 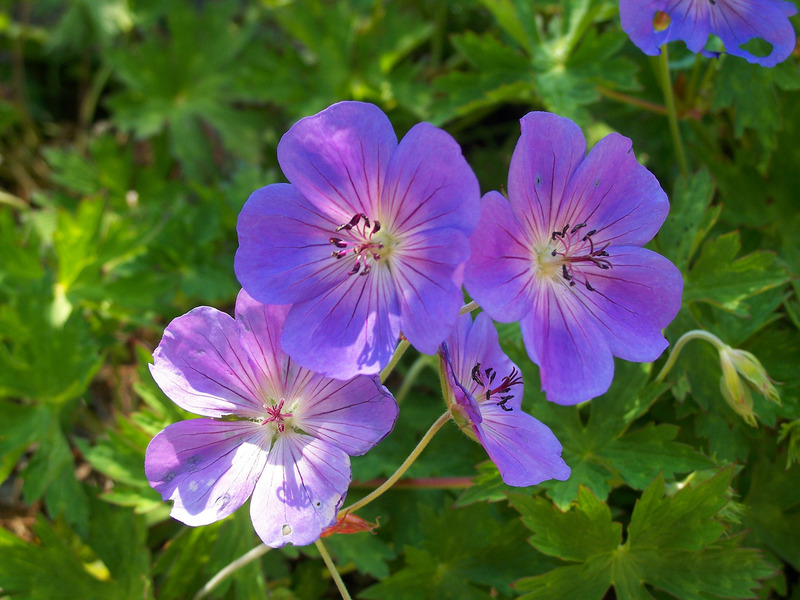 Geraniums prefer areas with mild summers, or in hot climates, planting under partial shade.